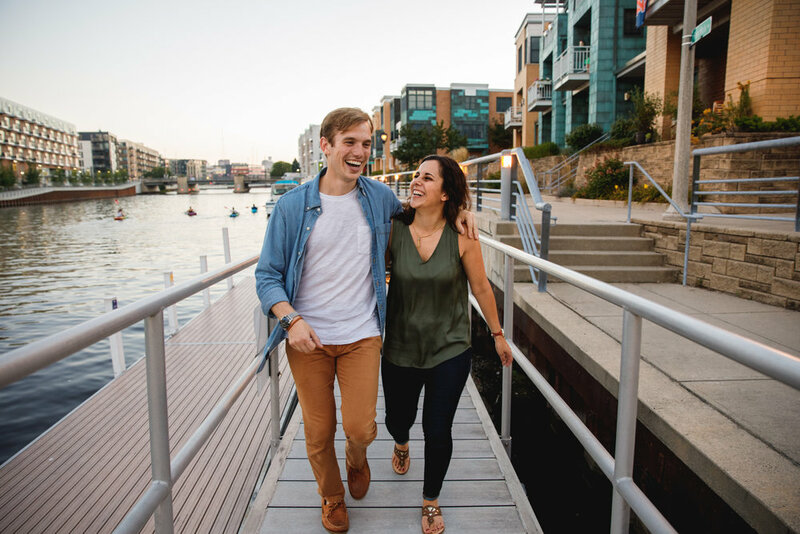 Preparing for your engagement session! Your FAQs answered, tips so that you love your photos and feel relaxed. Yay engagement session! The most common question I get is: "What should we wear?" 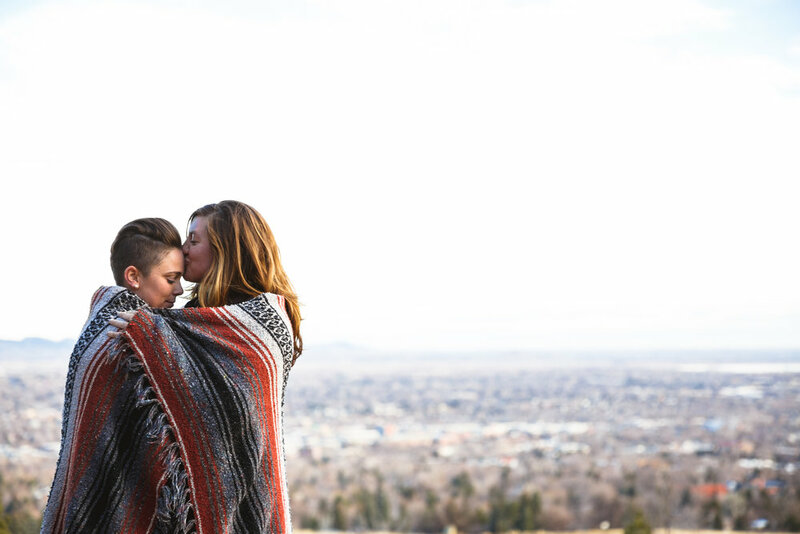 We will address that below, but ultimately comfort is key, and that is why an engagement session is so important. It gives you an opportunity to get to know your photographer (and for them to get to know you) before the big day. Use the photos from this session to give you photographer grows and glows, so everyone goes into your wedding day feeling ready to rock n' roll . This is one that is generally a BIG worry. I say comfort is key (if you feel uncomfortable you will probably look uncomfortable), and go from there. Your outfit may be dependent on weather, location, comfort, time, season, and so on. Every photographer offers different options, usually my couples will do one outfit change (or stick to one outfit) for their session. If they are doing 2 outfits I recommend something more casual and something more "formal." Casual could be a summer dress, or jeans, and formal a cocktail dress and button down. OR Casual could be your hiking gear in the wilderness, and formal could be jeans and a cute top downtown. Whatever it is, it should be representative of you. As far as patterns, I strongly believe it is OK for BOTH of you to wear a pattern. If you are going to do this they should complement each other, and be more discrete. Complementing is always better than matching exactly. Layering is always cosy and easy to do with a sweater, scarves, wearing shoes then going barefoot. 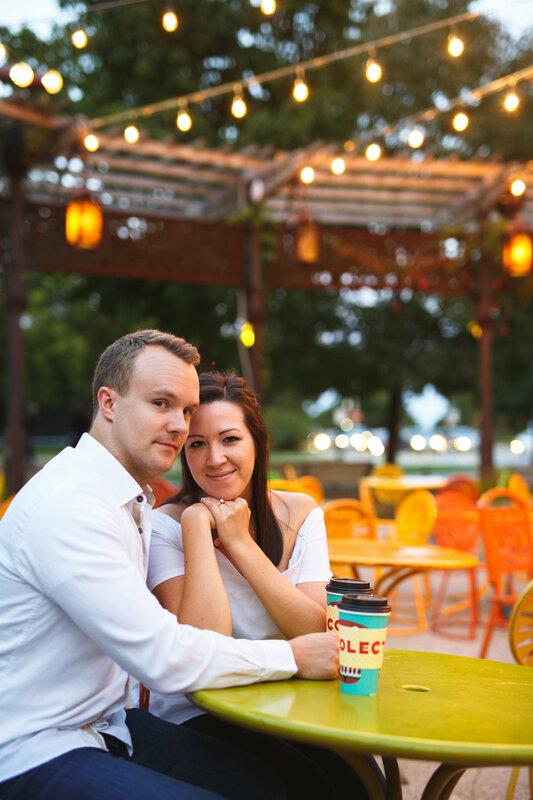 Here are some couples who brought multiple outfits to their sessions and felts great! -Booze - champaign, wine, beer, what ever your feeling - maybe just coffee? -Something significant to you - into biking? did you meet at a baseball game, want to bring a bat? haha, you get the point! This is such a fun part of your session. My advice here, is picking somewhere meaningful, that you spend time at, or you just love! -In home sessions are very cool right now, but they have been cool FOREVER in my book. This is your space the place you love and live in, how fun to have more intimate and comfortable photos. -Downtown, offers a fun different vibe from the park setting. If you associate with being city people or just love the city in general, then why not! You can hop over to your fav restaurant/cafe (good to ask ahead of time), check out the Riverwalk (MKE), rent city bikes, walk around to cool storefronts, allies, abandoned spaces. -Favorite _________, if you are into it it will show in your joy being there. -Back yards are always fun and intimate - whether it is yours, grandma's, best friend's, family farm, if you love it and think it is beautiful I'm there! -Beaches are beautiful ANY time of year, I mean that. Wether it is a lake, a river, and ocean it will work. If the water calls you (Moana) go for it! They also usually offer a land and water backdrop, and great options for sitting, standing, laying, swimming, and dancing. This is really awesome to talk to your photographer about. They will definitely be able to suggest what is best based on location. In my opinion natural sunlight makes your skin looks so happy. BEST options are morning light, and sunset (golden hour), but you can make any time work. Sunrise - This light is AMAZING and underrated in my opinion. But you have to be up EARLY especially taking into account any getting ready you want to do. Mid day - this is doable, but not your BEST option, if you want softer light. When the sun is up high it causes harsher shadows and more blown out backgrounds. If you use your surroundings to your benefit then you can totally make it work. This is GREAT for in home session because you will get the most natural light into your house which is ideal. Ok ok, this is totally up to you. I have heard it highly recommended to get your hair and make up professionally done - if this is you go for it, you are taking pro pics after all. However, if you are like me and rarely wear make up, and give your hair minimal time, maybe just your going out to dinner make up routine is best. In the end you want to be happy with the photos you are investing in, so if getting a little more fancy than usual is going to make you feel good and boost your confidence GREAT! If you will feel uncomfortable and not like yourself, cut that out. If you have a beard or a usual scruffy haircut, no need to get rid of that. If being a more lumber jack kind of guy is your thing rock that. KNOW YOURSELVES - Think about how much time you realistically want to spend on photos. 2 hours? 1? 30 min? Have this discussion with your partner ahead of time so that you are enjoying your session, rather than dragging one another through it. Last note leads me to #6, if it is going to windy mentally and hair wise be prepared - Im all for that hair blowing in the wind. I do engagement sessions year round. It is awesome, every couple has a different preference, and I'm into that. I currently have a couple waiting for snow and we are just winging the date based on weather (cross your fingers for us!). That being said, if it is pouring rain, most people, photographers included (for the sake of their gear) might cancel. Keep an eye on the weather, make an agreement with your photographer ahead of time, about how much notice you need to give them to reschedule, AND have a preplanned "rain date" picked out! I had one of my fav couples ever cancel because it was about 95 degrees out and humid, they did NOT want to be sweaty melting messes, and I respect that. The day we did their photos ended up being perfect - so happy we did reschedule! RELAX + ENJOY! You chose your photographer because you trust them and like their work (hopefully!). Don't hesitate to reach out if you have questions or are looking to book and engagement session!